Dottye Currin is ready to add music to the mix with her smooth sticks (formerly tobacco sticks). 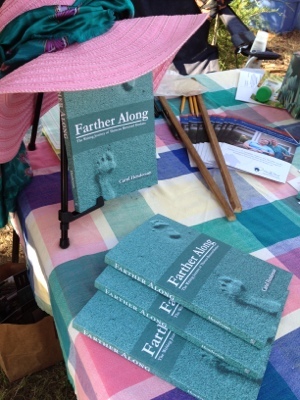 She also set up a booth at the Swamp Sistas LaLa to share and sign copies of Farther Along: The Writing Journey of Thirteen Bereaved Mothers and to share information about the SECU Family House. 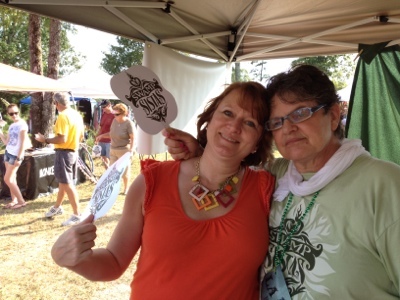 Dottye and Kathy Shoaf used old fashioned fans to help with the heat at the La La. 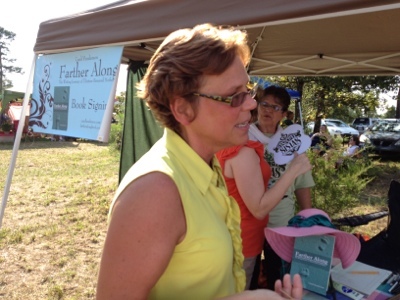 The heat didn’t keep us from sharing stories with many who stopped to talk about the new book and writing journeys. 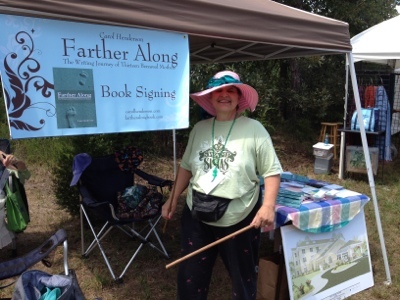 Barbara Goldsmith talked to several who attended the La La about Farther Along. 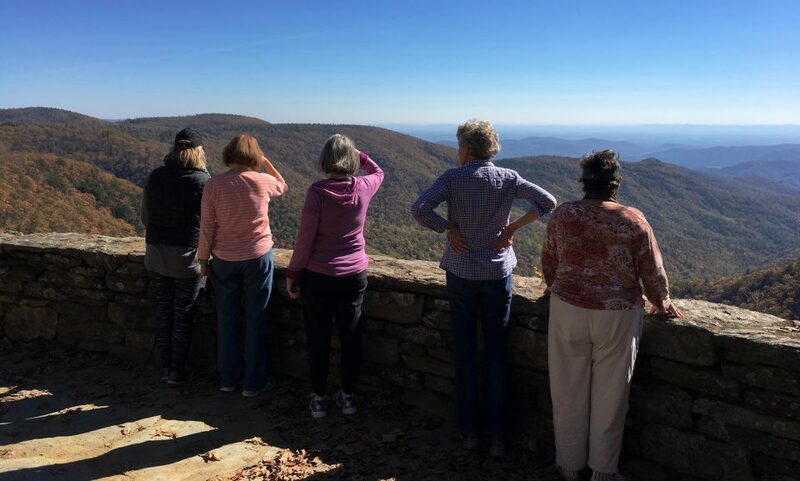 We keep finding stories and at least six degrees of connection ( not separation!) when we share this book. Even the book display was “dressed up” for the occasion. And we also had a chance to talk about the SECU Family House with brochures about the hospital hospitality house. Proceeds from book sales are given to the Family House.